Digital transformation is reshaping our industries and societies. The next generation technologies, such 5G, big data, artificial intelligence and Cloud computing, are set to revolutionize the way we live, making smart cities a reality. Both Italy and China set ambitious goals for smart city development and have so far made tremendous efforts. While addressing some common challenges of developing smart mobility, health, governance or living environment, Italy and China have much to share, exchange and cooperate. 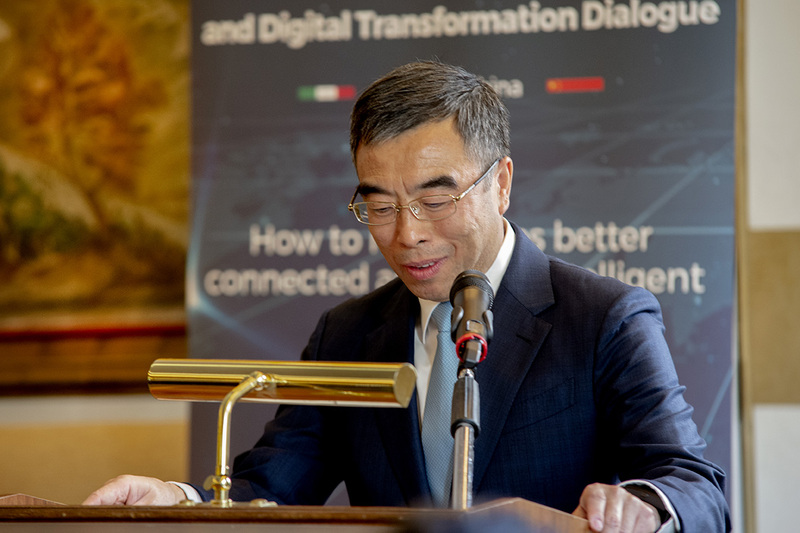 On the important occasion of Chinese President Xi Jinping’s state visit to Italy, ChinaEU and Link Campus University organized the event “Smart Cities and Digital Transformation Dialogue – Italy and China – How to Make Cities Better Connected and More Intelligent” on March 22 in Rome, aiming to contribute to more successful Italy-China cooperation. 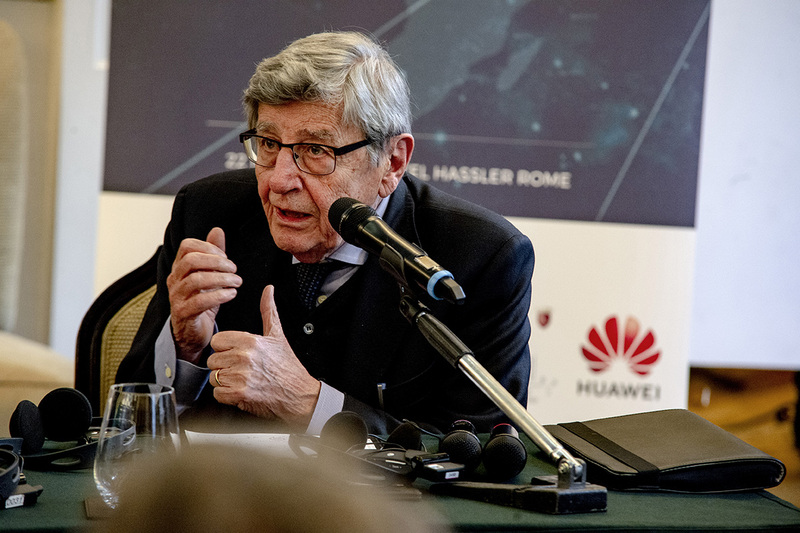 Vincenzo Scotti, President of Link Campus University and Former Italian Minister of Foreign Affairs vowed joint efforts between Italy and China to develop smart cities as China will be an important partner for the future in this regard. He said: “we do not suggest to confront China to achieve smart cities, we don’t turn our backs on the future”. Luigi Gambardella, President of ChinaEU, stressing that smart cities will be one of the most promising areas for Italy and China. 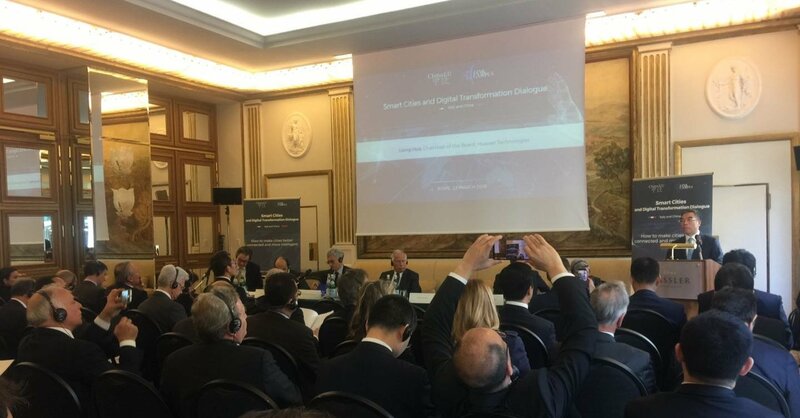 Luigi Gambardella, President of ChinaEU, said that from a business perspective, smart cities will be a giant earner in the years to come. By 2023, the global market of smart cities is reportedly expected to reach 717.2 billion U.S. dollars. Smart cities will be one of the most promising areas for Italy and China to jointly work on, not least, as the bilateral ties are tightening. Italy and China should work together to build our cities of the future. 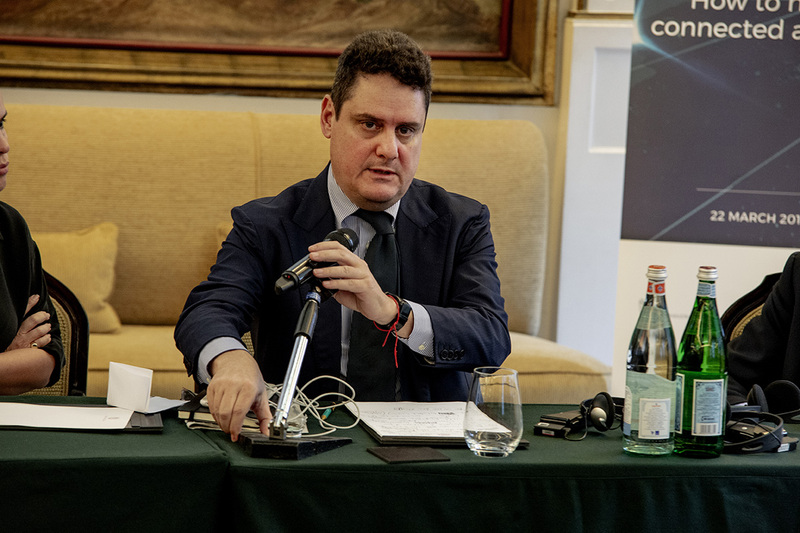 The event brought together Italian and Chinese government and cities representatives as well as industry leaders to exchange views and experiences and showcase the best smart cities practices of both Italy and China. Among the reputable speakers, Luigi Paganetto, President of Tor Vergata University Economics Foundation and Vice-President of Cassa Depositi e Prestiti (CDP), Giuseppe Busia, Secretary General of the Italian Data Protection Authority, Massimo D’Alema, Former Prime Minister of Italy and President of “Italianieuropei” Foundation, Liu Qunkai, Country Manager South Europe, Alibaba Cloud, Stefano Pileri, CEO of Exprivia-Italtel, Marco Bucci, Mayor of Genova, Flavia Marzano, Rome City Councilor for innovation and digital transformation, Mario Occhiuto, Mayor of Cosenza, Delegate of the President of National Association of Italian Municipalities. The event received support of prestigious partners including Huawei Technologies, Confindustria Digitale, Bruno Kessler Foundation (FBK), Italia Startup, Federturismo Confindustria, the National Inter-University Consortium for Telecommunications (CNIT), Seeds&Chips, Roma Capitale, the Smart Cities Association of Italy, the Italian Digital Revolution Association (AIDR), as well as the following media partners: Italian News agency ANSA, Italian ICT-focused online media Key4biz, and leading Chinese media outlets China Daily and Guangming Online. ChinaEU is a business-led International Association aimed at intensifying joint research, business cooperation and mutual investments in Internet, Telecom and Hi-tech between China and Europe. ChinaEU provides a platform for constructive dialogue among industry leaders and top-level representatives of European Institutions and the Chinese Government. Link Campus University is specialized in cutting-edge professional fields, to be able to apply theoretical knowledge for the solution of practical and relevant problems in the world of public enterprises and institutions, to open up to international context. Huawei is a leading global provider of information and communications technology (ICT) infrastructure and smart devices. With integrated solutions across four key domains – telecom networks, IT, smart devices, and cloud services – Huawei is committed to bringing digital to every person, home and organization for a fully connected, intelligent world.